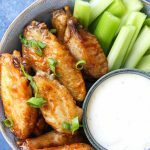 Easy, ready in 30 minutes, this BBQ Air fryer chicken wings are great for a party and for a family dinner! 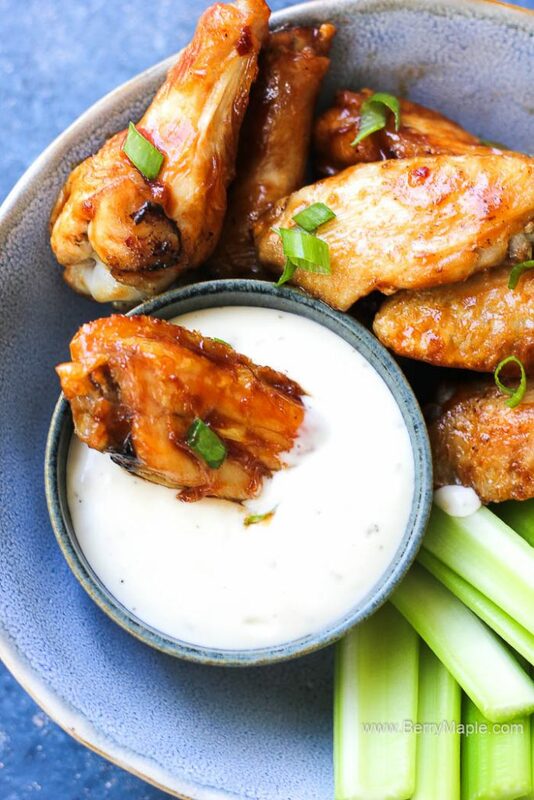 Crunchy wings dipped in your favorite sauce- what could be better? 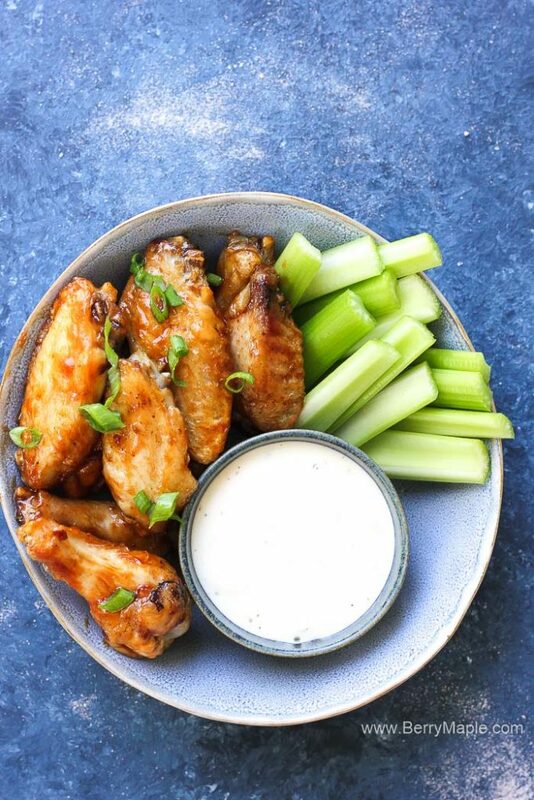 Our Air Fryer cooking journey is getting better and better. Who doesn’t like chicken wings? 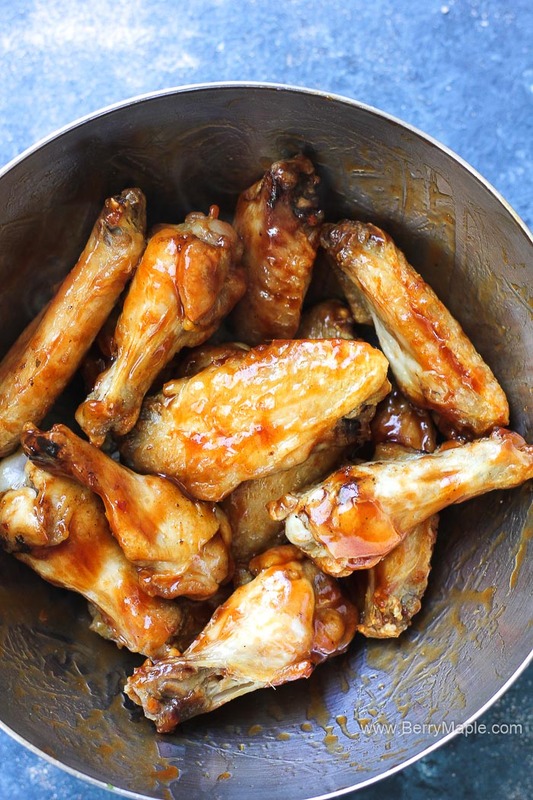 Crunchy, juicy, flavorful wings made with BBQ sauce? My kids absolutely loved them, they are keep asking for more every day! Make sure the air fryer is preheated properly. It usually takes just a few minutes. 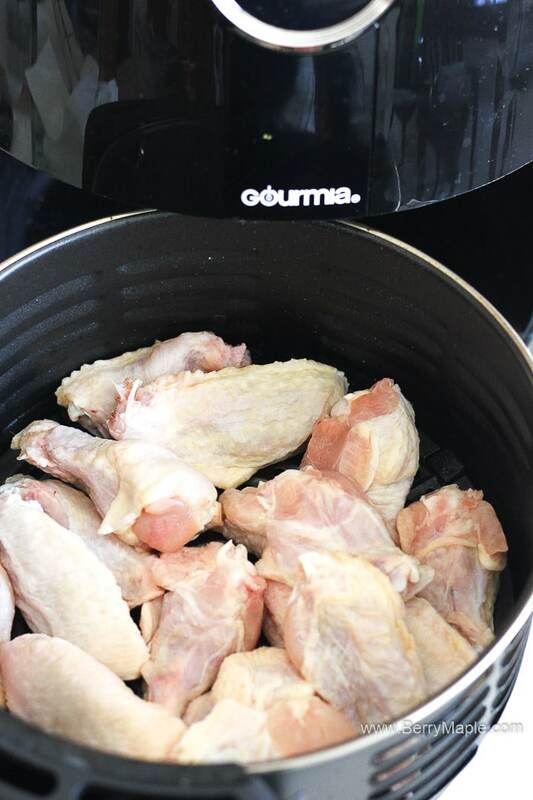 Wash chicken and place in one layer in to your Air Fryer basket. Cook for 15 -20 minutes, shaking a few times though the cooking. Now they are done and delicious! 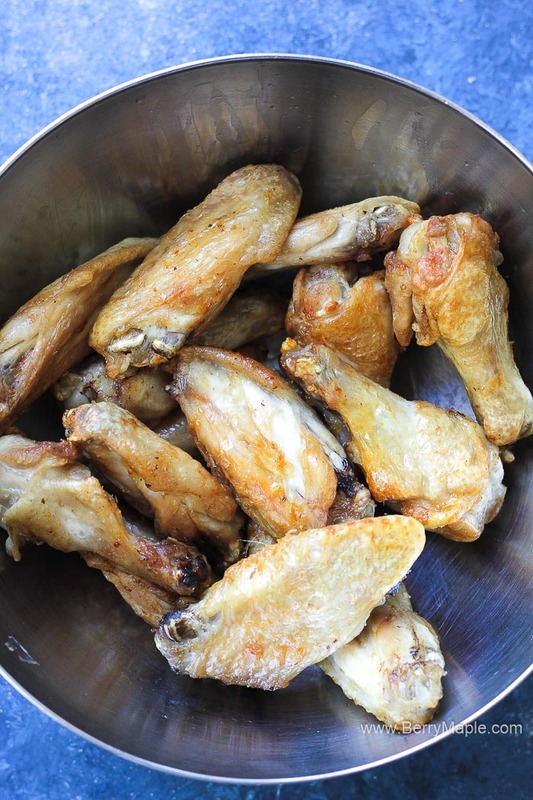 Place all your cooked wings in to large bowl. Add BBQ sauce and mix it well, making sure all wings are covered in sauce. We dont like it too saucy , but you can absolutely add more BBQ. 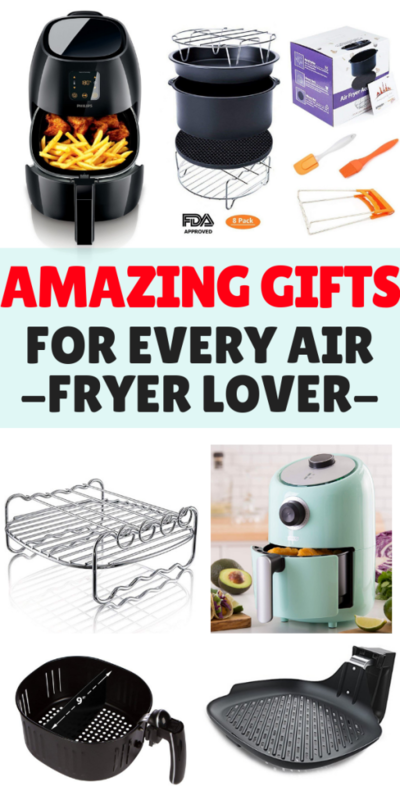 You can cook absolutely everything in the Air Fryer from frozen! 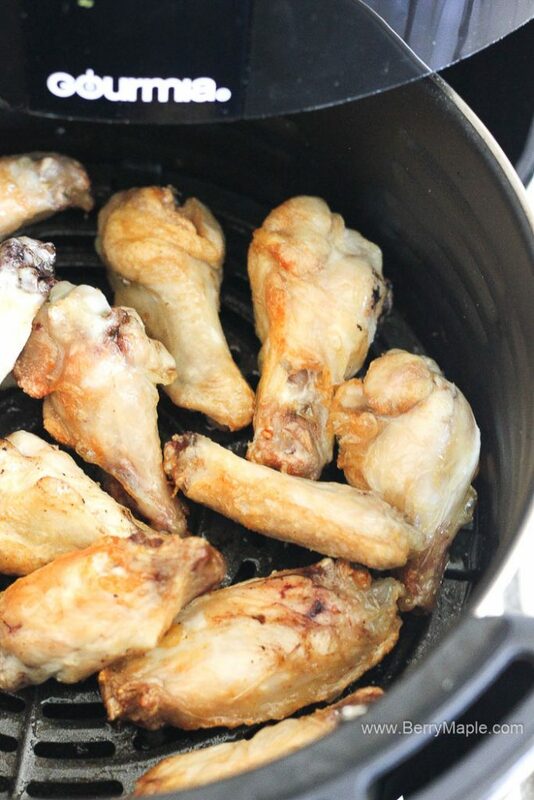 For chicken wings you will just need to add 5 extra minutes of cooking time with 400 degrees. 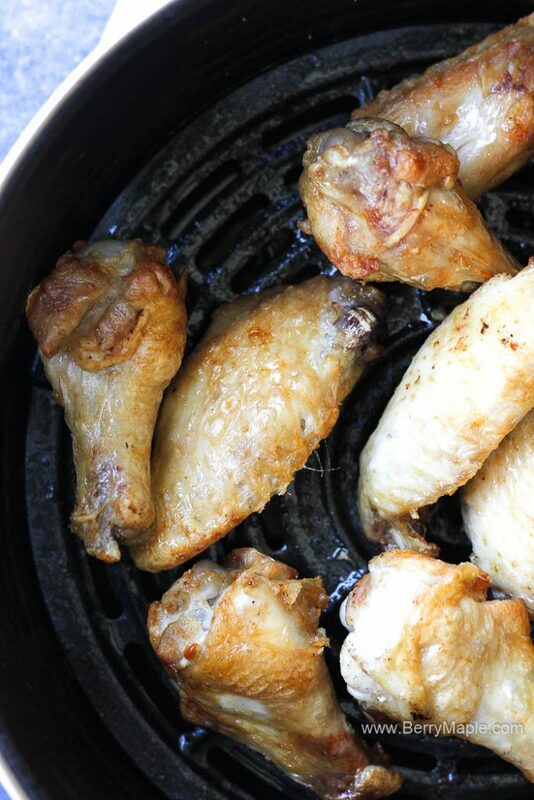 They will come out just as juicy and tender as if they would be from fresh chicken wings. 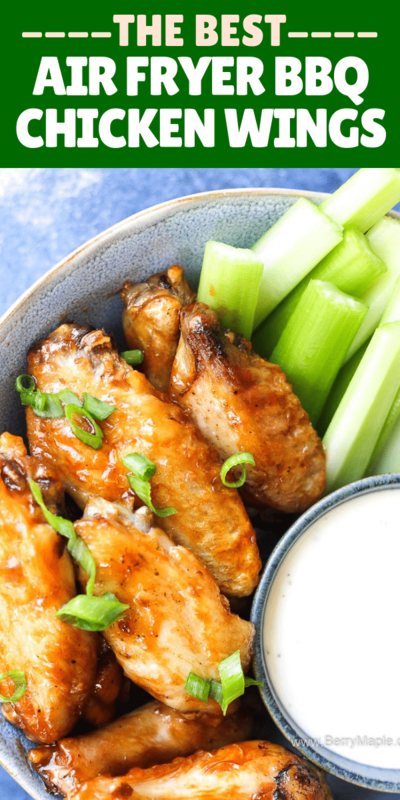 Want more fantastic air fryer recipes? Try this delicious family friendly meals that are so easy and take no time to make! Wash and pat dry chicken wings, add garlic powder. Place them in to the basket of air fryer, spreading out evenly on the bottom. Cook for 15 minutes, shaking twice or 3 times. Add another 3 minutes for an extra crispy skin. Once they are done, transfer wings in to a bowl and add BBQ sauce. Mix well. 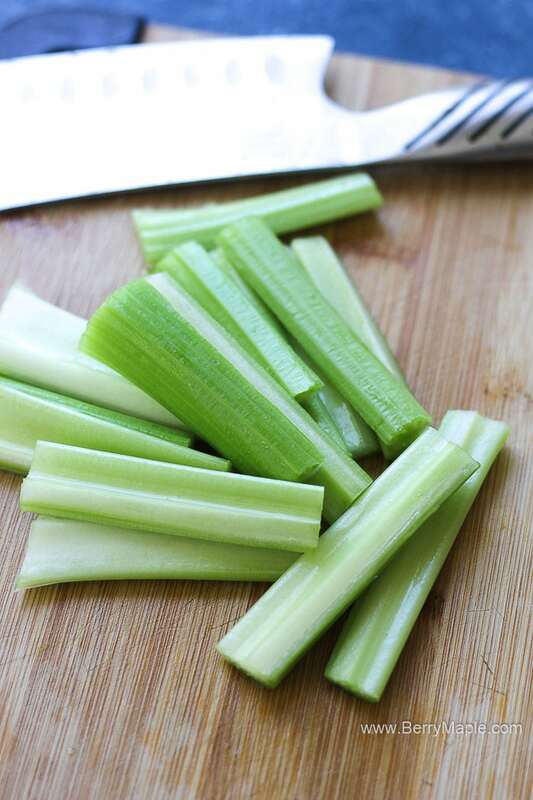 Serve with a side of ranch dressing and celery sticks. Next time we will have friends over, i will know what to cook to please the crowd. 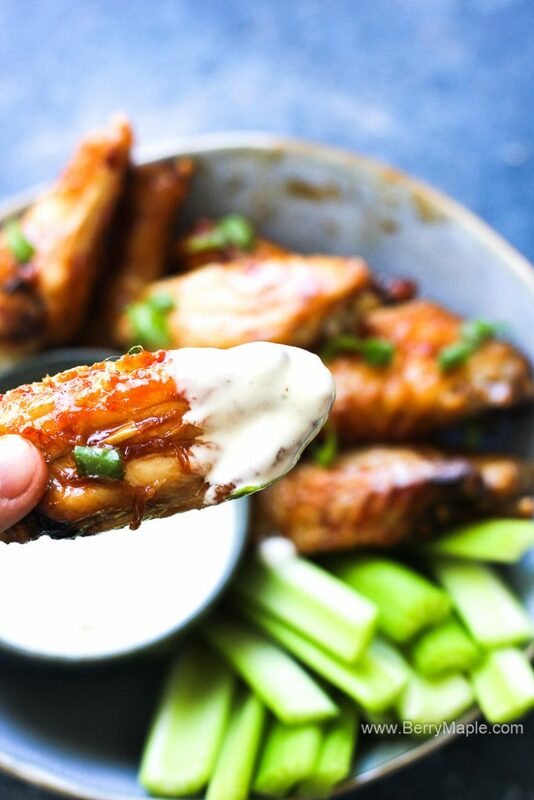 Even if friends are already in your house, believe me, from taking wings out of freezer to actually serving them will be exactly 30 minutes! How amazing is that! So time saving and no oil involved! Air fryer is a fantastic tool hands down. Healthy oil free recipes ready in no time! The air fryer is my new favorite appliance. I’m seriously in love with it and this recipe. Perfect and in time for football watching season! How easy it this recipe! 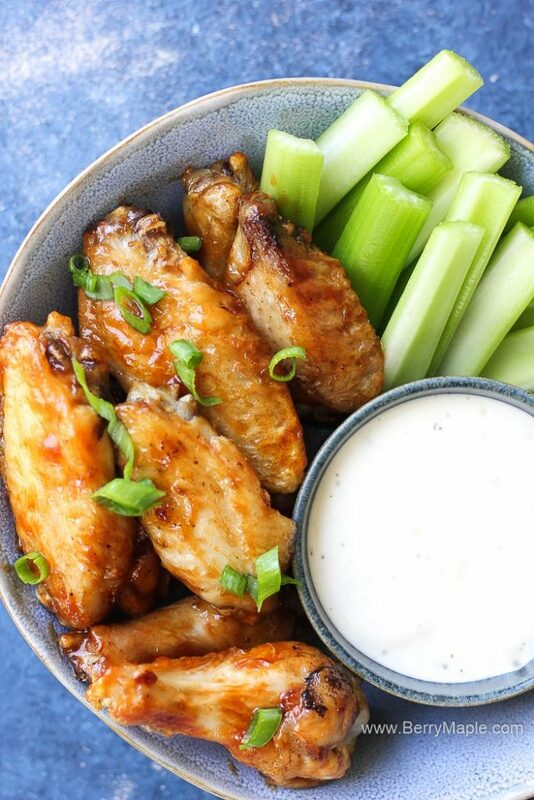 Love the idea of having wings in 30 and from the freezer no less! 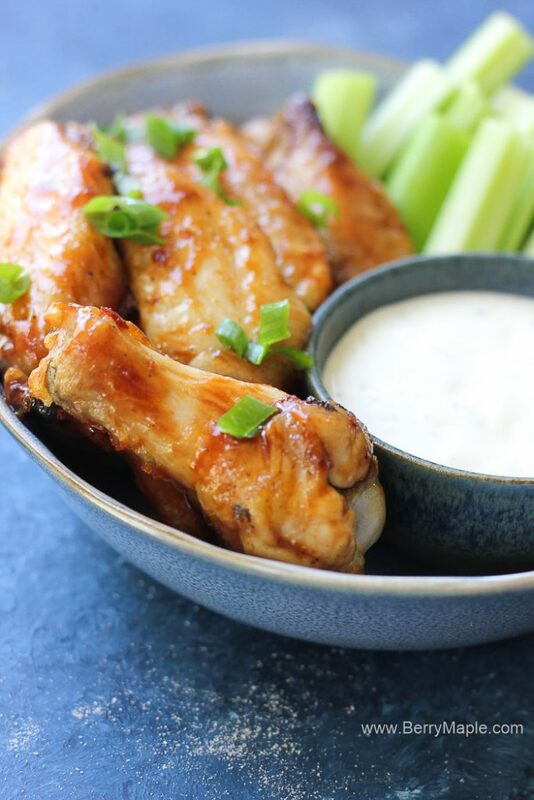 I’ve never tried an air fryer but this delicious and quick recipe just might change my mind.